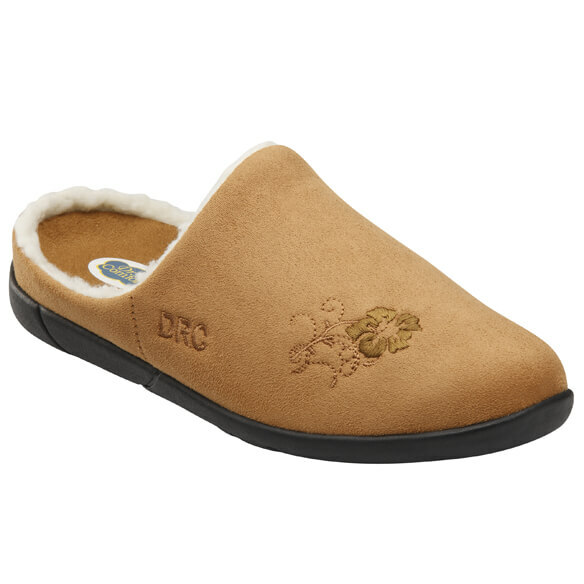 Dr. Comfort® Cozy Women's Slippers are designed for comfort and freedom, from their wide, roomy fit to their removable inserts. Swollen or diabetic feet are cushioned and protected with an open back, structured toe box, extra depth and warm fleece lining. 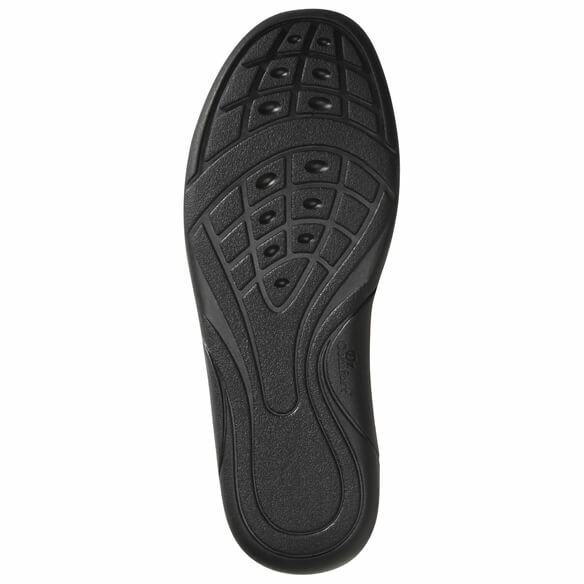 Supportive midsoles and hard, non-skid outsoles provide stylish, shoe-like protection perfect for wearing around the house. 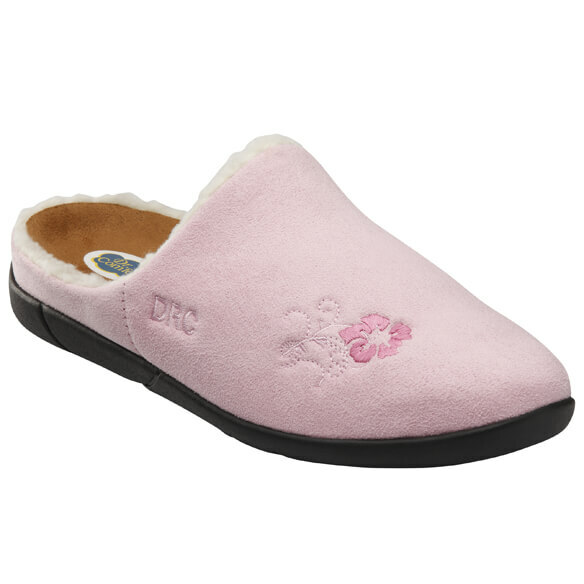 Removable, hand-washable gel inserts included with these comfortable slippers. Specify color: camel or pink. 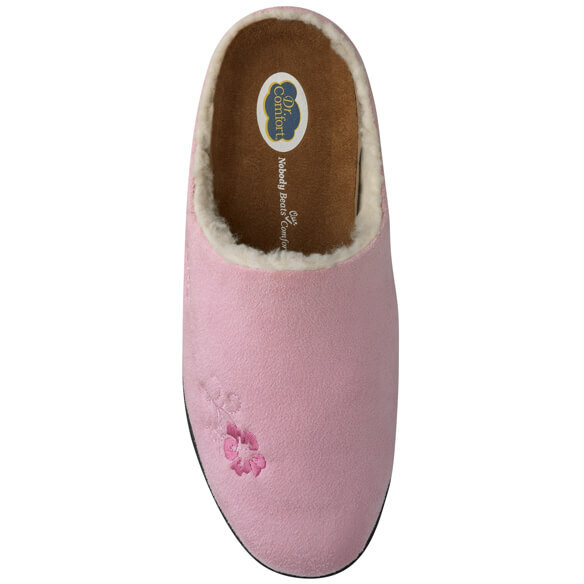 Women's slippers available in whole sizes 6W–11W. BEST ANSWER: Thank you for your question The heel is 1/4" high. We hope this information will be of help to you. Thanks for the info. I need 1" height for heels on slippers. If I normally wear a 7 1/2 W, should I go to an 8 wide?